I firmly believe that when you get the chance, to help a friend, a stranger or your community, then you should. My earliest memories of this, and I would imagine it is the same for a lot of people, is the example I got from my parents, in particular my father, who is one of the founding Members of Banbridge Lions Club, in Co. Down. I saw all the activities and fundraising that he was involved in, and the impact and benefit it has had for our family and the local community. So when, years later, the Lions Club invited ladies to join (good things come to he/she who waits!) well I couldn’t wait to sign up! I became a Member of the Galway Lions Club in 2000. It is the biggest club in Ireland, formed in 1972, affiliated to the International Lions organisation and one of 115 cubs in the island of Ireland. We are part of Lions International – the largest service organisation in the world. It is a very busy period now as our main fundraising events are in the lead up to Christmas, with the Lions Club Radio Auction in conjunction with Galway Bay FM, supermarket collections and the Teddy Bear Project. This is also the time of year that we are most visible on the streets with the cash collections, and even on cold wet day or nights you can get a laugh. One year we had to reassure a gentleman that we were not collecting for lions (from the animal kingdom), but for local worthy causes! The Galway Lions are also involved in youth activities with an All-Ireland Soccer Competition, a Peace Poster Competition for national school pupils. Last week I presented prizes to three local students, with the winning poster going forward to the international stage of the competition. When I spoke to one of the teachers whose pupils took part, she told me that she herself was a former winner in the Peace Poster Competition. It made me realise that sometimes we forget the positive impact we have made. Later in the year I will be presenting certificates to secondary school pupils who took part in the Alcohol Awareness Project, a project that has gone from strength to strength as it is peer education driven. There have been some memorable occasions in the club’s recent history. We were honoured when one of our members was elected as District Governor – that is head of all the Lions Clubs in Ireland. Not only did it show his commitment to the Lions Clubs of Ireland, but during that year I saw how all the Lions supported him – some by driving him to meetings in Lions Clubs all over Ireland, others with Secretarial backup, and in other ways that eased a big year for him. I was also conscious of the fantastic support that he got from his family. Lions members could not do what they do without the support of their husbands, wives and families. 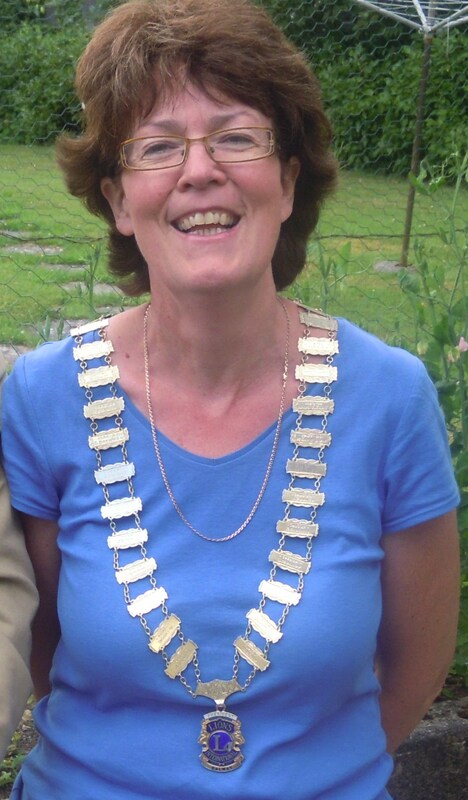 Then the Galway Lions Club elected its first Lady President! She has been an inspiration to the “girls” in the Club. During her Presidency she balanced all her roles from club, home and work. In fact those two events completely reflect my own experience of the Lions Club organisation. I became President in June 2014. Do I worry that I will live up to the standards set by other Lions? Do I hope that conditions improve for those in the community who are in difficult circumstances? Yes to both questions, but then I remember the Lions mantra, “Ordinary people doing extraordinary things”. You just have to try your best.